I have had a lot on the go this week and my Main Taste Tester has been so kind and ready to assist me however he can. He has been super helpful around the house, generous with massages to help me de-stress and he even packed my lunch for work. I am lucky to have him. I know it can be controversial, but I’ve started going for an indoor tan here and there and it makes me feel like a million bucks. That extra vitamin D is awesome. A few of the girls at work and I organized a mini breakfast celebration on Friday. We had fresh cinnamon rolls, sausage, fruit and coffee. A good end to the work week! The library has always been a happy place for me but I have been a total fiend lately; I want to go every day. I have ten books out on loan right now. In addition to more traditional novels, I have been obsessed with taking out different cook books and coffee table books. My Mom has gotten into Facebook more and more lately since getting a tablet and she inboxed me this past week just to say she loved me and to wish me a good day. I thought it was so sweet. We celebrated a good friend’s birthday party with a small get-together. I got to make the cake, which I always jump at the chance to do. 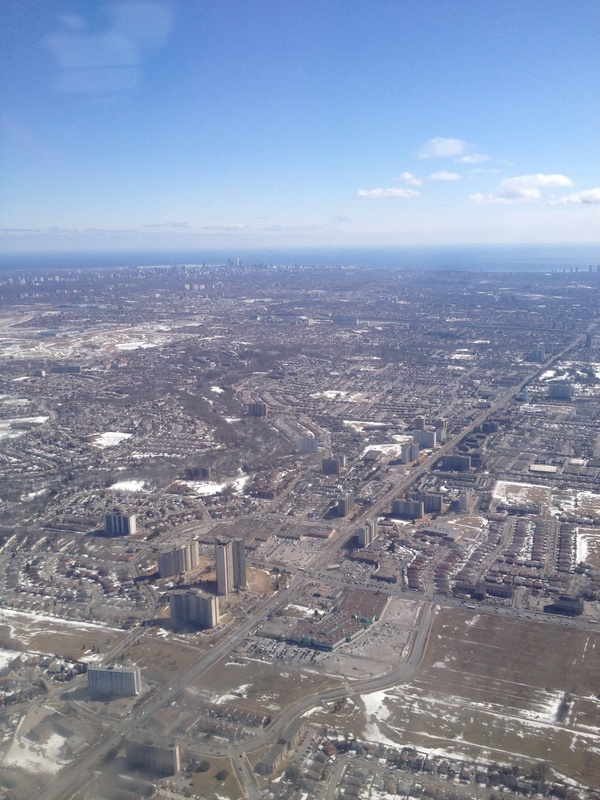 On Sunday morning, I got to hop on a plane to Toronto for work! I will be here all week (I still have blog posts ready to go!) Looking forward to learning and experiencing a lot here.